The co-op First Veterans Fruits of Bosnia got at least 65,000 KM from the budget as an incentive to hire former servicemen. The money was spent but the hiring goals never met. Empty office space at Humska 14 in the Sarajevo neighborhood of Pofalići does not give the impression of a headquarters for the First Veterans Fruits of Bosnia co-op. 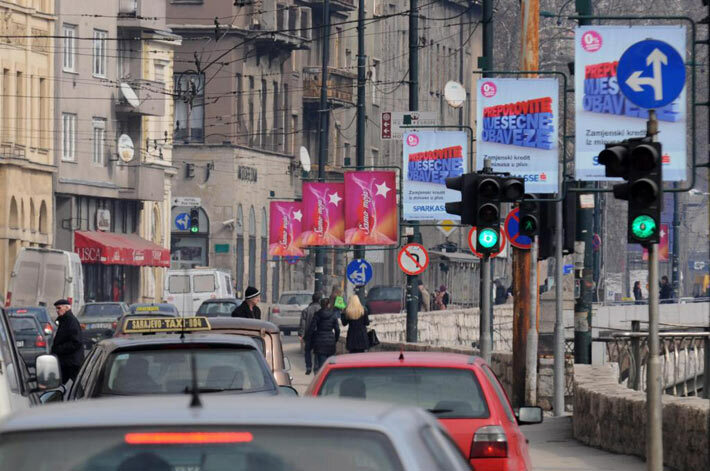 The organization has received at least 65,000 KM from the budget as an incentive to hire veterans, but expenditure of that money has not been fully justified, according to an investigation by the Center for Investigative Reporting in Sarajevo (CIN). Because police and the prosecutor’s office have received a criminal complaint about the co-op’s illegal activities, the group received no subsidies in 2017, but its members did. 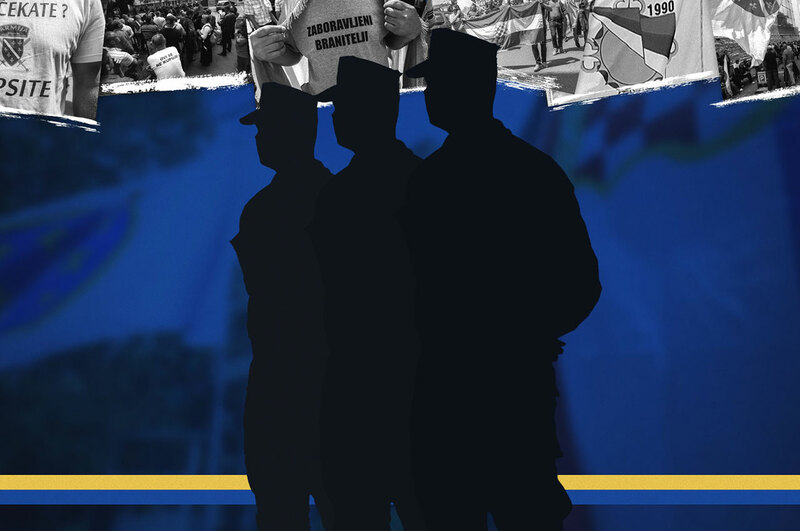 Based on their co-op membership, the FBiH Ministry for Issues of the Veterans and Disabled Veterans of the Defensive-Liberation War dispensed 114,000 KM to them for various projects. The co-op’s co-founder and director Zlatan Kovačić aka Foks, is a former president of the Managing Board of the Association of Veterans of the Defensive-Liberation War 1992-1995 – the Organization of Demobilized Soldiers of the Center Borough in Sarajevo. The Cantonal Prosecutor’s office in Sarajevo is checking how the organization spent funds it received between 2006 and 2008. On top of other things, they were given at that time at least 165,000 KM to reconstruct the kindergarten Joyful Days in Sarajevo. 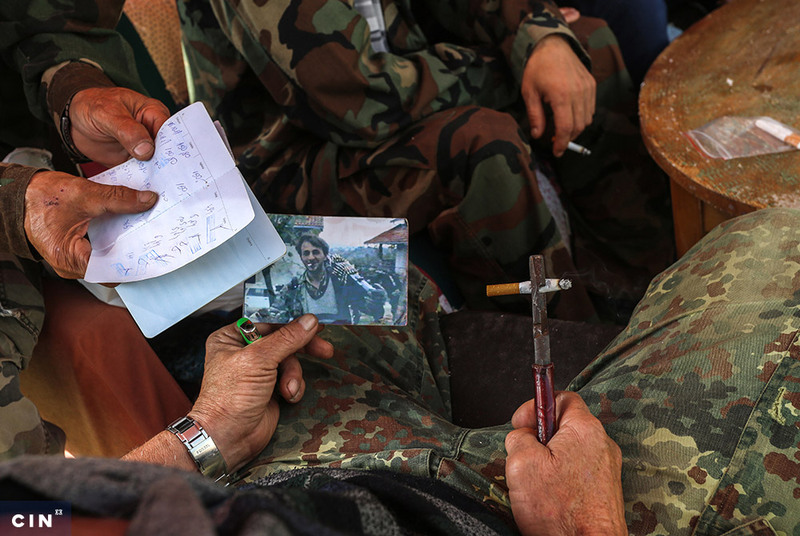 Demobilized soldiers were supposed to work on the project. But the kindergarten was not rebuilt. It was torn down last year and building a replacement is expected to cost 2 million KM. Kovačić is 47 and a former member of the BiH Army’s special ops unit the Black Swans. In 1990 he joined the Party of Democratic Action (SDA). He told CIN that he was not tied to the party because “If they fall, I fall too.” He said he had friends in high places and was in the loop. He said that he was the mastermind behind veteran co-ops in Bosnia and Herzegovina (BIH). Kovačić founded First Veterans Fruits of Bosnia in 2014 with four others. They paid 250 KM in equity and registered it for growing, processing and trade in agricultural and other products. A coop can be established by at least five people or legal entities. Besides them, additional people can then sign up as members. Based on their share they have the same rights and obligations as founders. The entity co-operative alliances oversee the operation of the co-ops. Records show more than 70 veterans’ co-ops have been founded in the past several years, spurred by a budget line for subsidizing employment of former servicemen. As soon as First Veterans Fruits of Bosnia was founded, it applied for subsidies for a project to develop rural tourism from the Federation Ministry of Environment and Tourism. They promoted the idea of planting goji berries, a Tibetan fruit. Demobilized soldiers would be hired to tend the plants. They received 15,000 KM for the berries. At the end of 2014, then minister Branka Đurić signed a contract with Muhamed Alagić, then director and one of the co-op’s founders. It stipulated that money had to be spent properly and that a spending report would be compiled. No such report ever made it to the ministry, even though the current minister Edita Đapo urged the co-op to either report or give back the money. Kovačić said that he never received that request. He said that Alagić, his cousin, applied with the ministry on his own initiative and planted goji berries on his own estate. Alagić, however, told CIN that he didn’t plant the berries because a buyer with whom they had a deal changed his mind. Instead, they planted Russian plum seedlings. Alagić was terminated as director in the spring of 2016 and succeeded by Adnan Mehinović. On the same year, the co-op received 4,000 KM from the Ministry for Veterans’ Affairs of Sarajevo Canton, as support for planting. Not long afterwards, the FBiH veteran affairs’ ministry gave the co-op 50,000 KM, as a subsidy for hiring veterans. The Audit Office for the Institutions of the Federation of BiH later concluded that the ministry’s commission for the selection of projects used discretion when rating them because eligibility criteria were not clear. Auditors stated that it cannot be confirmed that the funds given for these projects were spent as intended. First Veterans Fruits of Bosnia was supposed to build a wholesale lot for fruit and vegetables, buy equipment and hire 12 veterans. The idea was to buy fruit and vegetables from members and other contract sellers to establish a stable market. He didn’t stand up to Kovačić. “If I opposed him, there would be arguments in an instant. There would be a mess in an instant,” said Mehinović. He said that he gave his house in Hadžići free-of-charge to the co-op for a produce warehouse. According to the report, an industrial freezer was built with it. CIN reporters saw a facility next to the house, but were unable to inspect it because Kovačić was unwilling to let them enter. Last year, tension between Mehinović and Kovačić came to a head and this led to divisions between the members. Kovačić brought in new members for a new assembly that fired Mehinović, and installed Kovačić. The report was referred to the Sarajevo Canton Prosecutor’s Office, and Mehinović also informed the Sarajevo Canton and the Federation ministries for veterans’ affairs. In 2017, these two institutions had approved another 50,000 KM in subsidies to continue the project, but payments were halted after Mehinovic acted. Cantonal Minister Muharem Fišo told CIN that the payment halt was due to suspicion about the co-op’s financial dealings and lack of clarity about its leadership. The FBiH veteran affairs’ ministry recommended Kovačić to do an internal audit, but the co-op’s auditors have not done it, because the organization had been under investigation. FBiH Minister Salko Bukvarević said that the Commission for the Distribution of Funds and Accountability of Spending saw for itself that the warehouse existed. Though this has not happened and the co-op practically does not operate at all, Bukvarević’s ministry continued to pay subsidies last year to its members via the same public call. At least 14 people got 114,000 KM in subsidies for various agricultural projects. Among them is Emir Demir who farms in Vogošća. He said that he did not know how the co-op was doing businesswise even though he chipped in 50 KM to become a member. He said he could not apply for subsidies without being a member. But he does not use the co-op to sell his products. Bukvarević said he doesn’t see any problem, because members were eligible. Members, he said, “have a right to apply to our call as co-op members. ” First Veterans Fruits of Bosnia was one of the largest and most active co-ops in the FBiH, he said, and its members should not pay a price because of conflict among the founders. Kovačić acknowledged that the co-op was operating only on paper. But he said that co-op members were entitled to subsidies. “Why would we now stop people from enjoying this right,” said Kovačević. Before founding the co-op, Kovačić headed the Organization of the Demobilized Soldiers (ODB) of the Sarajevo Center Borough. Between 2006 and 2008, it received several grants for reconstruction of a Sarajevo kindergarten Joyful Days: 30,000 KM from the FBiH Ministry of Education and Science; 90,000 KM from the Center Borough and 45,000 from the Cantonal Ministry for Veterans’ Affairs. A condition was to hire veterans through the Uzrab company. 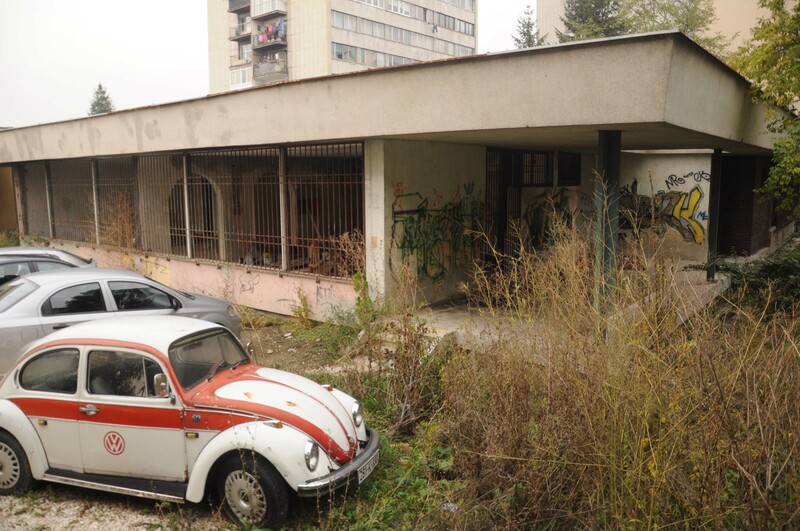 The kindergarten was destroyed during the war and belongs to public company Children of Sarajevo. Since ODB filed no reports about the work, the FBiH ministry sent in members of the Commission for the Accountability of Spending in the inspection. They found that the value of the work done on the facilities did not come close to the money donated. The ministry sued. In October 2010, the Municipal Court in Sarajevo ruled that the association had to return 30,000 KM. It did not. The bank account to which the money had been wired was empty and frozen. Even though at the time he was the association’s officer, Kovačić did not think that he should give back the money because he does not work there anymore. He said that they worked on the kindergarten and that workers were hired, but there were some unforeseen work and administrative issues. The Cantonal ministry has no information how 45,000 KM was spent. The same goes for 90,000 KM — the Center municipality officials say that they’ve lost all paperwork and reports in a fire during the 2014 protests. Prosecutors are also checking this spending of public funds. In 2011, the Financial Police suspected Kovačić of unaccounted money withdrawals not recorded in business books. It established that the association was damaged in the amount of nearly 160,000 KM. Kovačić said that the investigation was unfounded and no indictment was filed. “If there were any grounds, believe me, it would be filed within 24 hours,” he said. Despite the investigation, the Center Borough continued to finance the organization. Between 2012 and 2018, it gave it nearly 200,000 KM for procurement of wood for heating, medical treatment in spas, fitness, education needs of veterans’ children etc. The borough decides about grants through the Commission for Veterans’ Affairs which reviews applications and makes a shortlist for the mayor. Afterwards, it oversees spending of funds. The commission is made up of seven members appointed by political parties from among the veteran population. Meanwhile, the kindergarten was torn down at a cost to the borough of 87,373 KM. A new kindergarten will be built on the spot for about 2 million KM.